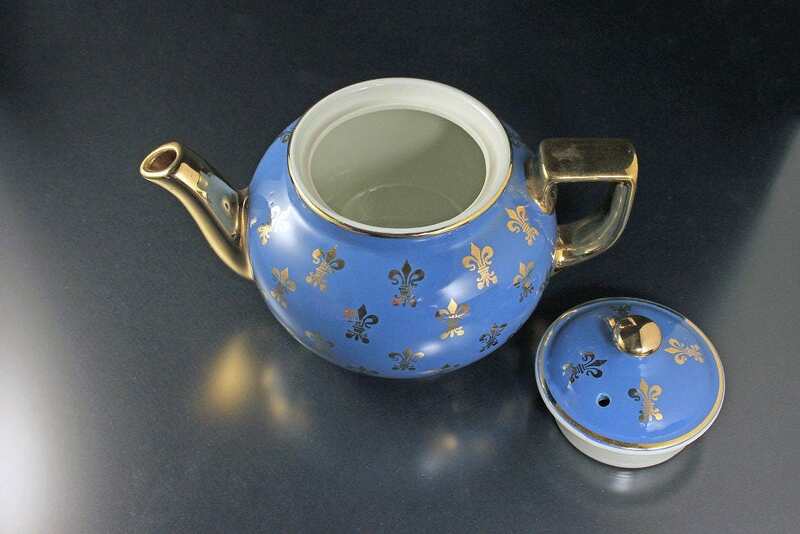 Do you collect teapots, love tea, or just the color blue? This charming 6 cup teapot is for you. 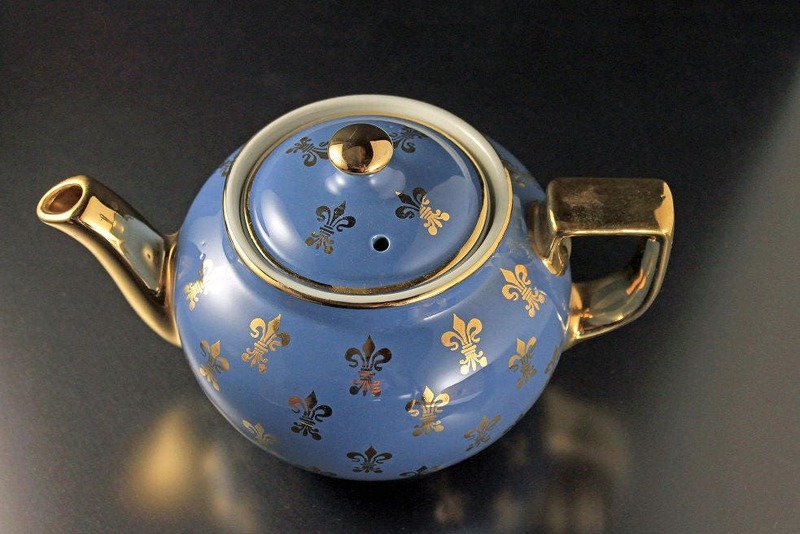 A lovely dark blue color and Fleur De Lys design. The handle, spout, and knob on the cover are completely gold. The spout pours evenly and with a great flow. Just a perfect pot for a tea party, luncheon, dinner, or as a display piece. 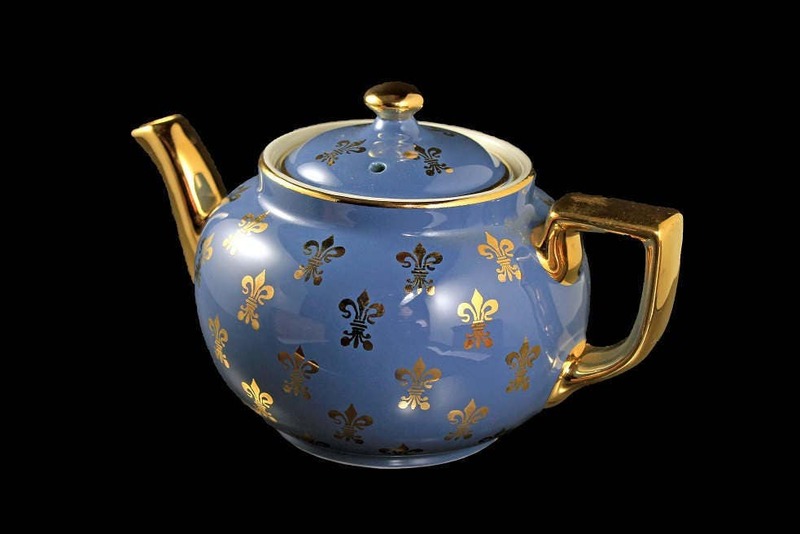 This is a truly gorgeous teapot and would be a great gift idea for a collector or as a special gift. Made by the Hall China Company which was founded by Robert Hall in East Liverpool, Ohio, United States in August 1903 Thanks to a single fire process developed by Robert Taggert Hall between 1903 and 1911, Hall China is durable, non-porous and it doesn't craze. 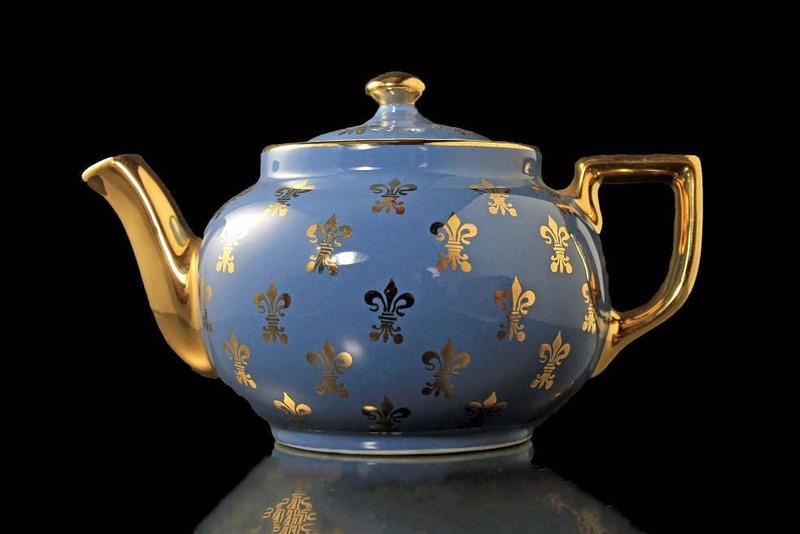 This beautiful teapot is in excellent condition. There are no cracks, chips or crazing. 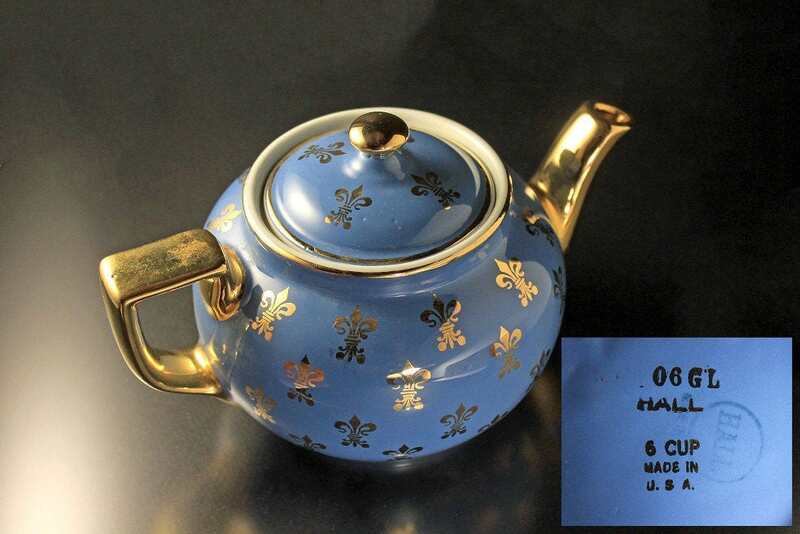 A small amount of wear is on the top of the gold handle but there is none on the body, spout, or lid of the teapot. The gold is brilliant and very shiny. The inside is clean and white with no stains. This is a great teapot for that afternoon tea party. A brilliant addition to your teapot collection. A wonderful gift for the tea connoisseur. It would make the perfect gift for a wedding, housewarming or a really fantastic holiday gift.